Lovely tie backs that are a little different to the normal ones found. 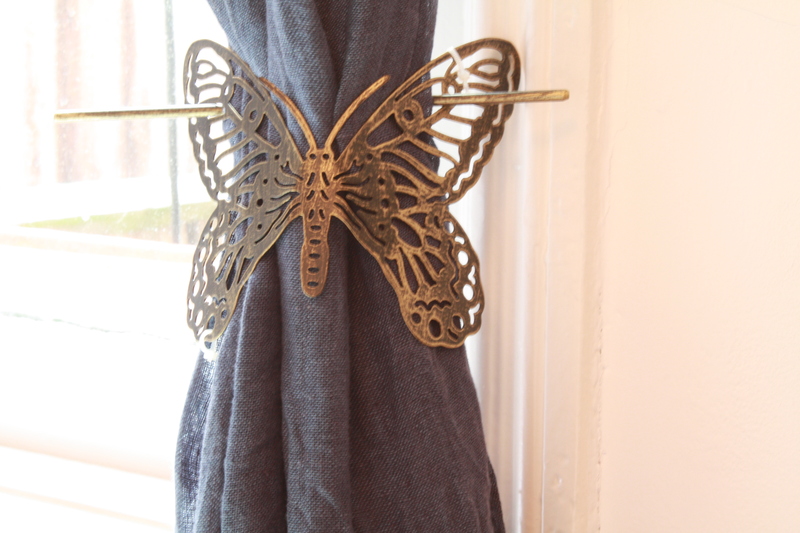 The butterfly design metal hold backs are flexible allowing you to gather the curtain and wrap the butterfly around it and then feed the metal bar through the butterflies wings. Brushed Silver & Black in colour. 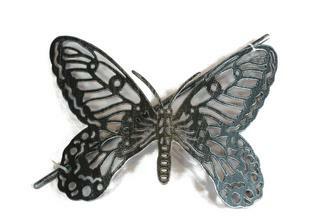 Sold in SINGLES In metal. W 17cm x H 14cm. 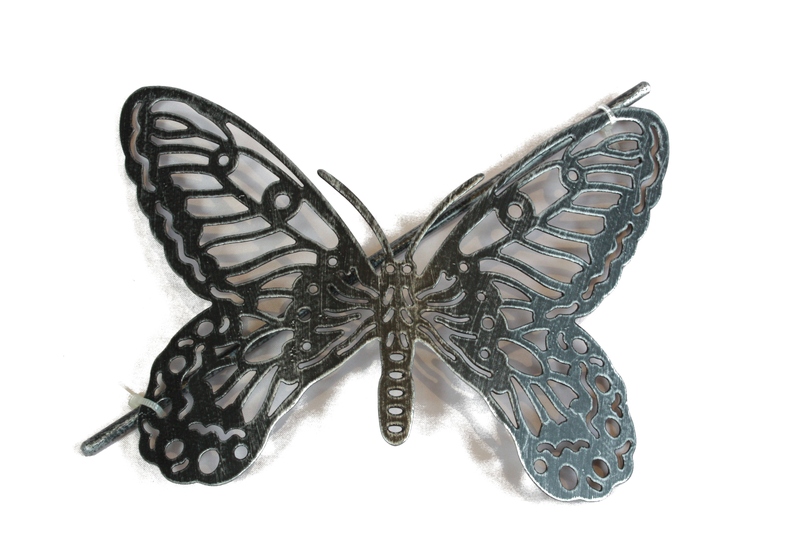 As a guideline this butterfly will roughly accommodate a single standard curtain gathered up to the maximum size of a female (not muscle mans!) clenched fist. Extra thick or patio door curtains it certainly wont be suitable for.